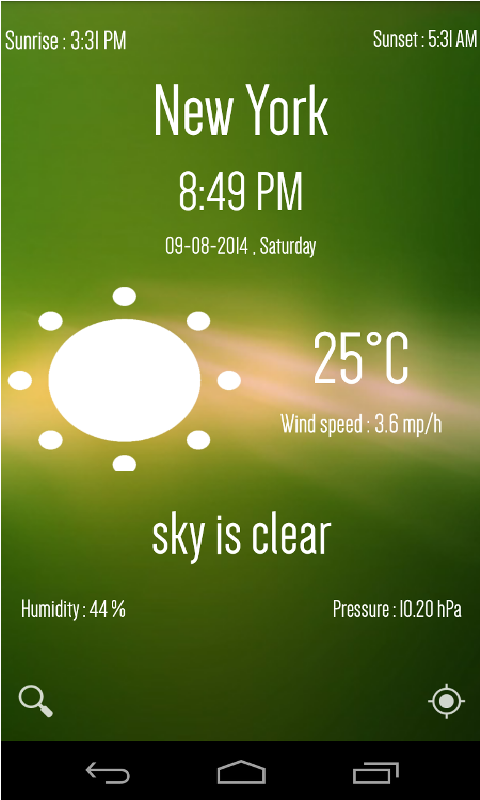 Get actual Weather Forecast at time round the clock with the Weather and Clock Application. This app searches for your address and locates cities quickly, and provides the current temperature, current weather conditions like , humidity, pressure and wind speed and Sunrise & Sunset times. 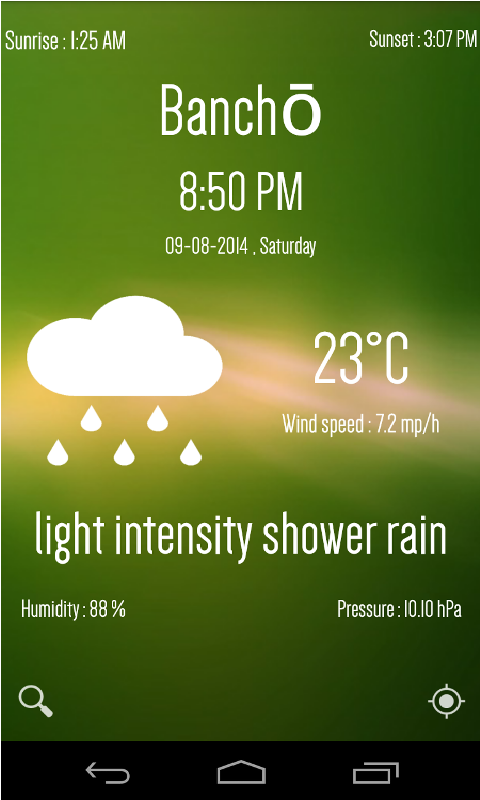 The Weather forecast at its best is specifically designed to be as simple and intuitive as possible. It provides detailed weather forecast for all cities worldwide. 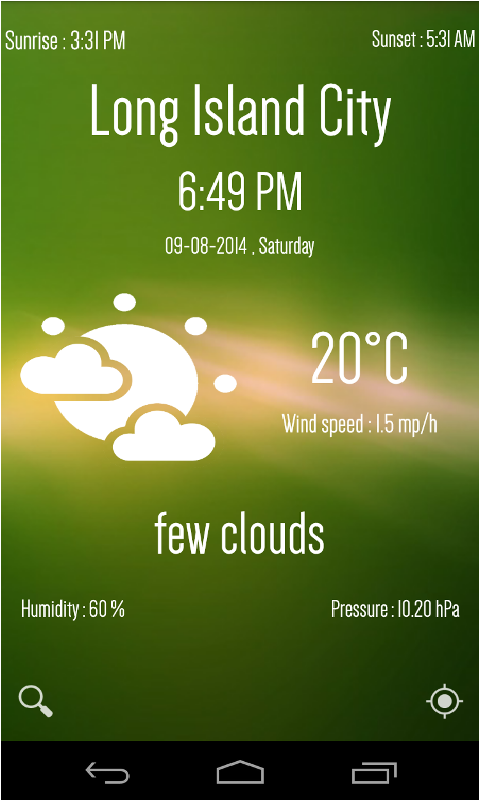 Get weather forecasts in simple and cool way like never before Features: - Forecast Temperature and Humidity - Providess current weather condition. - Sunrise and Sunset times forecast - Powerful Location search - Atmospheric pressure info - Option to Search for cities around the world by name. - Automatically finds Current location and gets its weather forecast info.